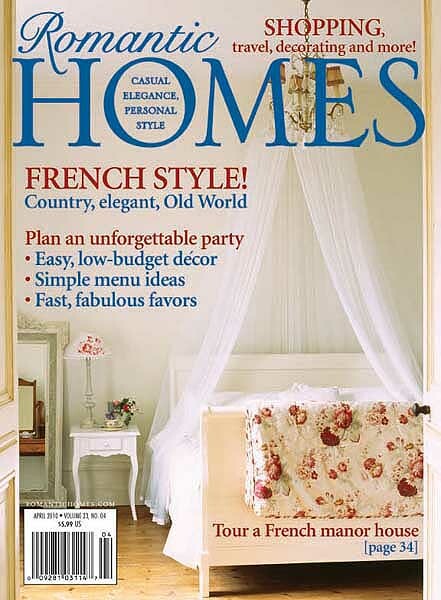 Every year I look forward to Romantic Home's April issue, which is fabulously French! 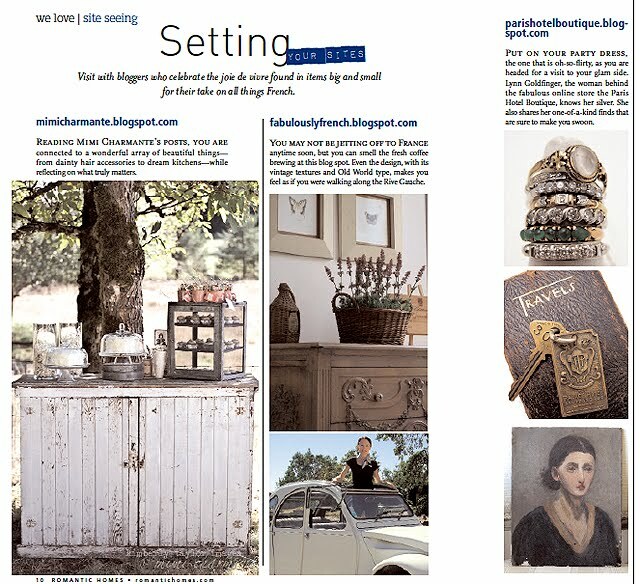 I'm flattered to be included in the latest issue among these fabulous bloggers who have a love for all things French. There is Mimi Charmante, whose blog is filled with the most beautiful eye-candy and interesting stories. Mimi's Etsy shop of "lovelies" offers vintage & handmade items, as well as her own beautiful photography. Leeann of Fabulously French, is based in France (lucky girl), and takes you along on her journeys, from sharing stories of her shopping excursions, to just the simple pleasures of living in France. She also has an online shop, Fabulously French, which is fabulously French! Tara Bradford of Paris Parfait is an American living in Paris who offers a romantic take on life from the City of Lights. It is one of the most informative, beautiful and interesting blogs for you Francophiles. A must read! And the fabulous Vicki Archer of French Essence, who lives between London and Saint Remy de Provence in Southern France. You may know Vicki from her books, My French Life or French Essence. Her fascinating blog takes you on an awe-inspiring journey. 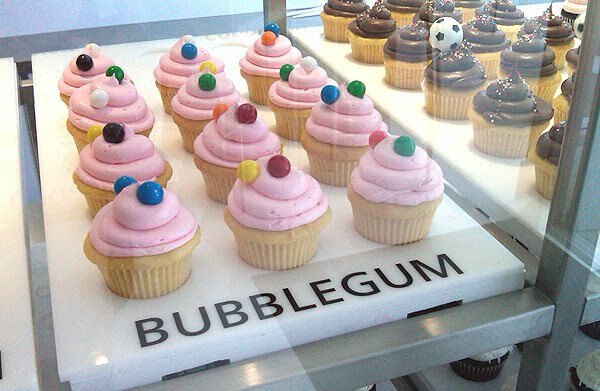 Rather than me talking more about it, you should go visit for yourself! What a thrill to be included among these wonderfully talented ladies. And special thanks to Jacqueline at Romantic Homes! There are many more fun features for you Francophiles, so be sure and pick up a copy of the April issue! Congratulation Lynn... I'll probably have to wait a month or so for that issue over here.. I'm sure it will be worth it.. as all the issues are. Congrats!!! I just got my issue and L-O-V-E-D it!!! Congratulations Lynn!!! How exciting! What a thrill :) They chose a perfect selection of incredible bloggers, you are all of such a high caliber and creative genius. I can' wait to go buy a copy. Congrats!! Iknow all of these other bloggers who have the most inspiring blogs. I'm not sure if we get Romantic Homes, here in the U.K. I always buy it at the airport whenever we have been to the States. I will have to inquire at my newsagents. Congratulations and lovely to see Tara and Vicki in there also. Congratulations to you! A perfect addition to that issue! Congratulations, I am in awe of all of you and still cannot believe that I am in the company of such great bloggers that continue to inspire me on a daily basis. I cannot wait to get my copy of the magazine as Kimberley very kindly popped a copy in the post. Congrats to you. When i started to read through my magazine, I had a big old smile on my face when I saw your blog. 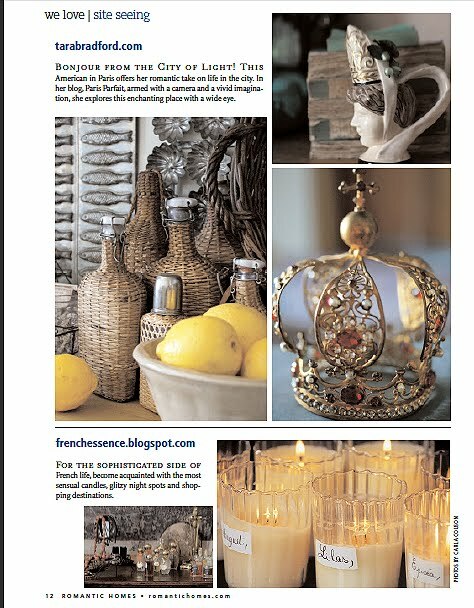 I found you from Romantic Homes magazine and love your style. Was wondering do you still have that The Palace Hotel key chain that was in the magazine? If you do, I am very interested. New Designs from the PHB Collection! Vintage Magazine ~ The New Flair? It's Time for a Party!